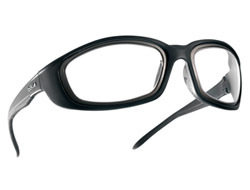 The Urban is designed as part of the Bolle Switch range and the most versitile set of glasses on the market. The unique shape makes for a great fit for every face. 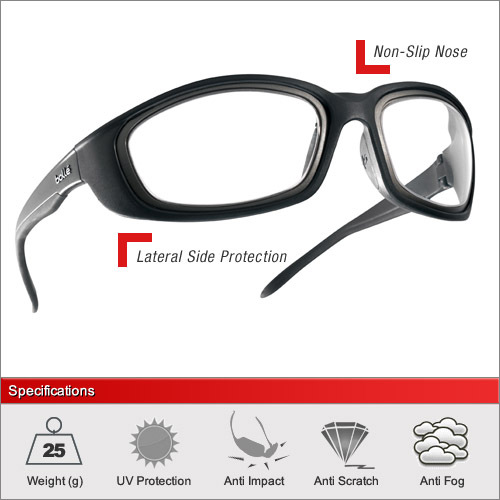 The lenses are also interchangeable and so both prescription and standard lenses can bit fitted to the same frame. We have 4 lenses available in this frame. The clear lens for 100% optical quality 1 performance and maximum clarity. The Yellow lens for increased contrast in low light conditions. The ESP lens for reducing harmful blue light and reducing glare and finally the Flash lens for full solar protection and additional infrared protection.